John Dewey was one of the most influential American philosophers of his time and also one of the most prolific, with about forty books and 700 articles to his credit. 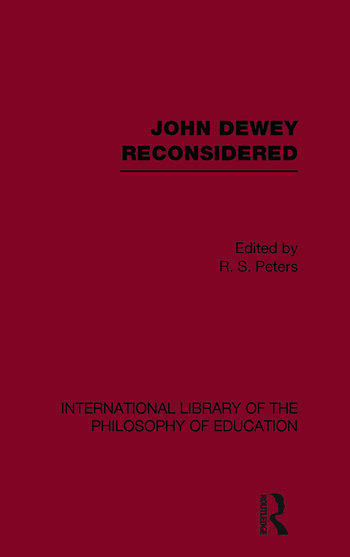 When this book was originally published in 1977 Dewey's work, with the exception of his important contributions to the philosophy of education, had suffered an unwarranted scholarly neglect and remained little known outside the USA. This present volume helped redress this balance. David E Cooper is Professor of Philosophy (Emeritus) at Durham University, having previously taught at the universities of Oxford, Miami and London. He has been a Visiting Professor in the USA, Canada, Germany, Malta, South Africa and Sri Lanka and the Chair of several learned societies, including The Philosophy of Education Society of Great Britain.